Chances are you are here because of your interest in commercial ships, marine structures and the professionals who operate them. On this site, you will find information about Marine Engineering, and the marine industry as a whole. As I have gone through the steps of becoming, and getting to a mature career stage as a certificated engineer, I had many questions and observations. Over time, I realized that I wasn't alone with those questions and observations, so I though I would commit to "paper" and share them with my peer, to seek their interaction and consensus or just to inform them, share the pitfalls, and increase odds of success on their own journey. Martin's Marine Engineering Page - www.dieselduck.net should be interesting for seasoned professionals, but my main target audience is the student, young engineer or general public curious about our trade. Should you have any technical or professional questions, I will answer them to the best of my ability, or direct you to where you might find an answer. I strive to make sure the information presented here is accurate. Should you find something which is questionable, let me know. Having said that, I remind you that I am human and prone to errors, therefore I make no guarantees that the information provided is "100% the truth". Don't hesitate to contact me, just remember that I am a full time career mariner and I am away from home for weeks on end, but I reply to all my emails, it just sometimes late. Who's responsible for this site? For the most part, me, Martin Leduc. I live with my spouse and our three kids in the port city of Nanaimo, on Vancouver Island, in British Columbia, on Canada's West Coast. This website was born in November, 1999, the final year of my four year Marine Engineering Apprenticeship at Vancouver's BCIT, while sailing on various vessels with the BC Government Ferry Fleet. I then sailed as an Engineer / Assistant Engineer with the Canadian Coast Guard for three years. From early 2003 until late 2006, I worked in the cruise industry with Disney Cruise Line as a Fourth Engineer, and as a Second Engineer with Royal Caribbean International. I then started to work with tugs and barges in Canada, first with Smit Marine in Vancouver. In 2008, I joined VShips as Chief Engineer on an Articulated Tug and Barge - a busy product tanker, working the Great Lakes, St Lawrence. In 2012, the vessel was sold and I switched companies but still working as Chief Engineer on various tugs operating all over Central, Eastern, Northern Canada and internationally. I now work as Chief on a dredge based out of Quebec City but working internationally. To find out more about me, check out my resume or my Linked In profile. These pages are maintained by me. Maintaining them are my hobby, and they generate very minimal revenue. It is my hope that one day, this site can experience an increase in the scope of information, quality, and quantity yet be self sufficient. That is why I solicit advertisers and donations. I put together the site, but many people over the years have contributed a great deal of items and comments (BTW - Thank You! ), and that is why its the success it has been. You can see where I get some of my inspiration and find out who has helped here. I don't get that question too often anymore, but you may be curious. Diesel Duck kinda fits who I am. I spent eight years in large school in the US, for some reason people were always referred to by their last name, I think it was meant to be "Mr. Leduc", but it really ended up being "Leduc". Well, being French Canadian and in Kansas, it was only a matter of seconds before someone mispronounce my name to Lettuce, Leeduck, Le doook and the likes. The most common became "La Duck", so, why fight it. I always had a propensity towards anything that moved and especially big heavy diesel powered movers. Later in my early adulthood and in mechanic school, most people thought I was taking baths in diesel because, I was always tinkering on engine and reeked of the stuff. Truth be told, the wife always loved it (yeah - were both pretty strange people). So the two of us stuck together nicely as did the nick name, and I figured it was a shorter to register as URL than www.martinsmarineengineeringpage.com - and www.mmep.com was already taken, so there is the full story. My primary objective remains to increase the content quantity and quality. 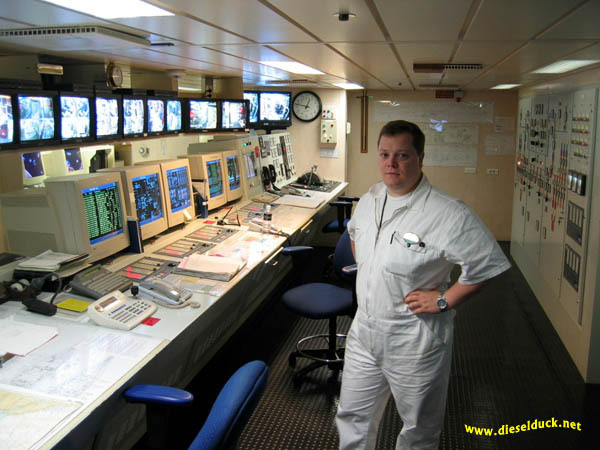 www.dieselduck.net aims to be the most extensive, accessible collection of practical and realistic information for Marine Engineering professionals on the internet. With three kids and a busy career and household, my lack of time is always this website's biggest enemy. For the last ten years I have managed to keep it up, but overall the pace of development has had to slow down a bit. I don't actively solicit funding streams, but it would be nice if the site could generate revenue, so it may be self sustaining, in order to fulfill the stated aims of the site. If you are interested in the "sustaining" part, email me your ideas. There is no end to the sky and the water. 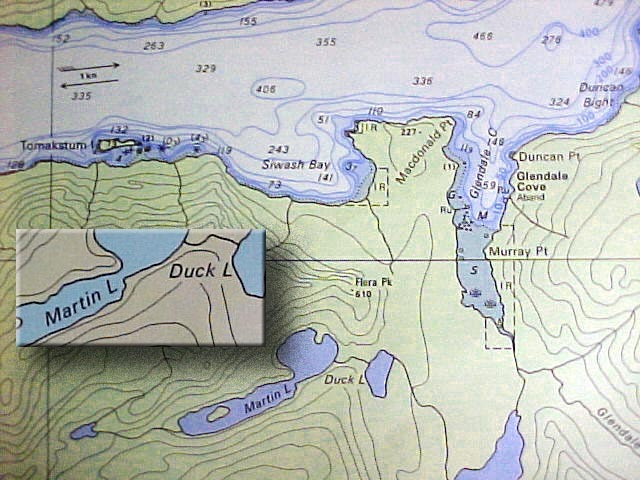 Information on advertising with Martin's Marine Engineering Page - www.dieselduck.net can be found here. To see what's happened - all the updates since coming online, you can click here for the ones 2012 and beyond, and click here for those between 1999 and 2011. I've posted some of the site's milestones here. A record of visitor traffic, site looks, our history in general, and other neat things that have happened over the years.